Week 4 of Law School is complete! I rounded it out with joining Public Interest Law Association, starting my outlines and visiting professor office hours for the first time. I was so nervous to go talk to my professor's one and one and after visiting office hours for the first time, I can't believe I did not do it sooner. If you are confused about something, curious about something or just want to make yourself more visible to the professor, office hours provide a great opportunity. Here is why you should visit professor's office hours in Law School. First, if you are confused about a subject in a particular class, go talk to the professor. It is better to find out the answer now and clear up the confusion than to build upon a shaky knowledge base. This early in the semester it is easy to get confused over little areas of the law. I was struggling with Sanctions in Civ Pro and finally today I just had enough and got up the courage to go talk to my professor. In just 30 minutes, he completely cleared up my confusion. Sometimes you just have to accept that you need help and seek it out- I promise it will be better afterward! Second, sometimes I have thoughts about cases in class that are not related to the class discussion/teaching point but just really get me thinking nonetheless. Today, when meeting with my Civ Pro professor in his office hours, I asked a few of those questions that had been nagging my brain just out of pure curiosity. My professor even thanked me for not bringing them up in class and allowing him to stay on topic as office hours really are the best place for curiosity questions such as mine. Third, I think it leaves a good impression on the professor when you take the initiative to go seek out additional information past class time and prove you are thinking about these concepts enough to have questions and curiosities. It also helps the professor to get to know you better- it makes your face stand out from the crowd when the next class comes around. I have heard over and over again how important it is to make connections with faculty and what better way to start that connection than popping into office hours to chat about something that has been bugging you. Fourth, you will most likely leave with answers to your questions and a bit more confidence. You successfully carried on a personal conversation with a law professor and for that, you should be proud of yourself. You learned something or gained a better understanding of a concept and that will definitely help the stress level. Also, if your professors are anything like mine, you may leave reassured that you are not the only one with these confusions or questions. My Civ Pro professor said it was completely normal to be confused at this stage and that we were doing well in comparison to many of our classmates. Hearing that from a professor was such a confidence boost! I feel so much better about Civ Pro now. If you are nervous about going and talking to your professor, I would suggest finding someone else with questions and going together. I went to the professor with my good friend as we had similar concerns and it was nice to have the support of someone else who was confused. I did not feel so intimidated and some of her questions also helped my understanding. Before we went to see him, we both ran through a rough sketch of our questions so we did not get in the office and go blank. Lastly, law professors are not nearly as scary and intimidating as they sometimes seem in my opinion. In reality, they generally want to help and are more than willing to go through an issue with you. My professor seemed genuinely pleased to see us in his office: he even asked us about our other classes, gave us some tips for Contracts and told us that things would get better and to just stick it out. Pull together some courage and knock on that office door; it is doubtful you will regret it. 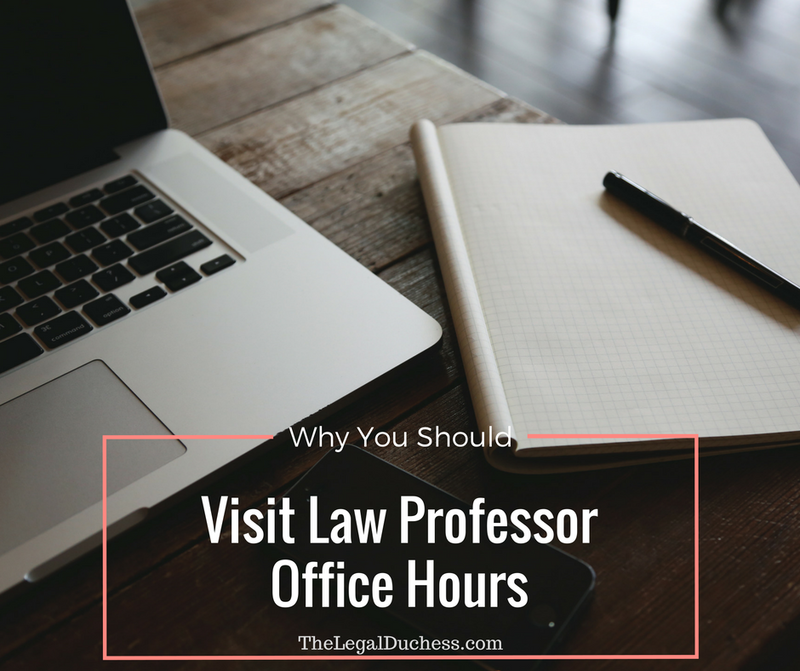 What have you experienced in Law Professor office hours?